2nd, you can loose some useful WordPress functionality. This way, if your new custom user role gives to the user ‘edit_page’ capability, but doesn’t include ‘edit_post’ capability, such user will not see ‘Restore’ action links for page revisions in the page editor. How to fix it? It is not so compex. But we should change a line at WordPress core code. So, please, be aware that this change will be lost surely with one of the next WordPress core code update and you should to restore it again and again probably. We just added ‘edit_page’ capability checking there. This way revisions edit and “Restore” action links will exist in both cases for posts editor and pages editor roles. 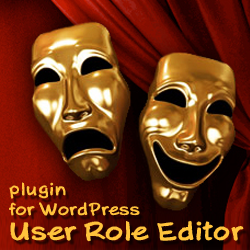 If, playing with User Role Editor plugin, you met similar WordPress capabilities and functionality compatibility problem, lost some useful functionality after new custom user role try, please consider to share that information with us, send your comments here. If you not found decision for your problem yet, it is possible that we could find it together :). 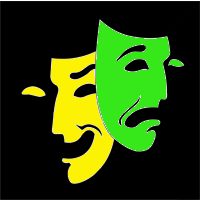 This entry was posted on Tuesday, September 14th, 2010 at 09:42	and is filed under Security, WordPress. You can follow any responses to this entry through the RSS 2.0 feed. You can skip to the end and leave a response. Pinging is currently not allowed.